The American Red Cross has pledged an initial $1 million in support. 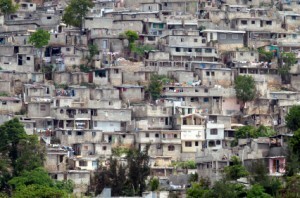 You can help support their efforts by donating online, or you can donate $10 by texting HAITI to 90999. Receipts for your text donation are available through mGive. UNICEF has set up a dedicated site for their relief efforts. Doctors Without Borders has also created a dedicated website for their efforts. Action Against Hunger has had a team in Haiti since 1985, and is ready to fly planeloads of emergency supplies from Paris to Port-au-Prince. You can donate on their website. Mercy Corps has a history of deploying aid to regions affected by catastrophic earthquakes and is deploying a team to Haiti. You can support their efforts by donating on the Mercy Corps website. Partners in Health is the NGO founded in Haiti in 1987 by Dr. Paul Farmer and the group’s emergency response focuses on delivering medical supplies and staff. You can donate here. You should always check out any charitable organizations that you are considering giving money to by using sites such as Charity Navigator, Charity Watch, and BBB.org. It is a shame, but natural disasters like this tend to bring out many scams. You should be on guard. Especially look at for scams involving nonprofit charities on Facebook. Phishing and other scams can give the impression that your friends are sending out emails when really a spammer has hijacked their identity. Thanks to Five Cent Nickel, Lifehacker, and The Daily Beast for the heads up on the links. UNICEF is an anti-US organization and will not allow a public audit of their books. Pls do NOT donate to UNICEF. thanks peter never knew that information before. The projection of UNICEF was so good that you can’t notice these things.